Sinningia tuberosa, S. defoliata and Lembocarpus amoenus are among the morphologically most remarkable species of neotropical Gesneriaceae. The plants possess a storage organ in the form of a tuber and produce usually only one leaf per season. In Sinningia tuberosa and S. defoliata the tuber is perennial and produces one (rarely two or more) tiny vegetative shoot(s) at its top. This shoot produces first a few pairs of tiny scale-like leaflets and then a strongly unequal leaf pair, with one leaf developing into a large foliar leaf. The flowers are produced on separate short shoots lacking foliar organs. In Lembocarpus amoenus the tuber is annual and a new tuber is formed each year on top of the old one. 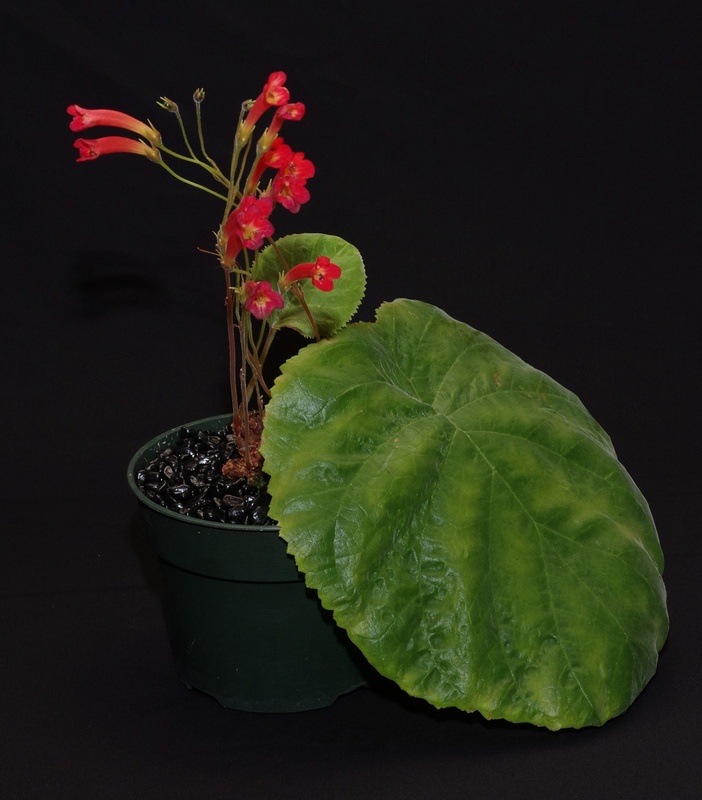 The tuber produces also a tiny shoot with an extremely anisophyllous leaf pair, but – in contrast to Sinningia – no separate floral shoots are developed and the inflorescence is produced in the axil of the foliar leaf. A Sinningia tuberosa show plant. The single leaves and the flowers are borne on separate shoots.